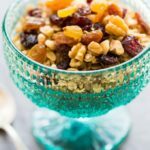 This easy granola recipe was sponsored by and appeared first on the Slumber Cloud blog. Made with only three ingredients, this ridiculously easy granola recipe comes together in minutes. Just mix and bake for perfect granola! Top with dried fruit, nuts, and your favorite spices for a real breakfast treat. Granola recipes are often more complicated than they need to be. At the simplest level, granola requires only three things: oats, liquid sweetener, and oil. Oats, of course, are the base of the this easy granola recipe. You also need a touch of sweetener. I use real maple syrup, for several reasons. 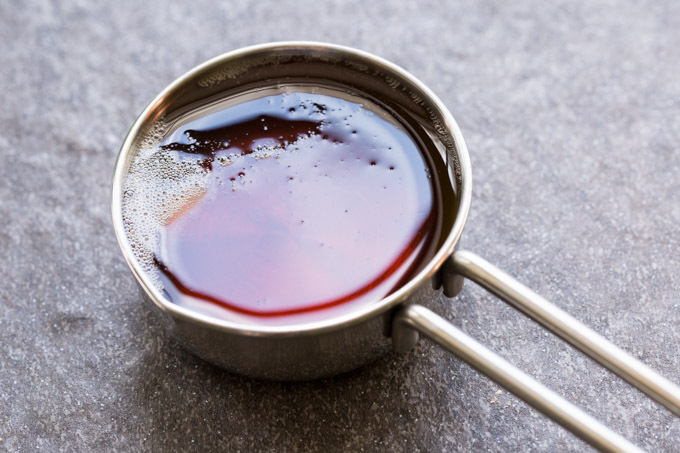 Maple syrup has a flavor that instantly brings breakfast to mind, and it comes in liquid form, which makes it very easy to use to coat the oats. As a bonus, it’s all natural and minimally processed. The other crucial ingredient in granola is the oil. Oil, whether canola, olive, or melted coconut oil, coats the oats and helps them to bake up nice and crisp. 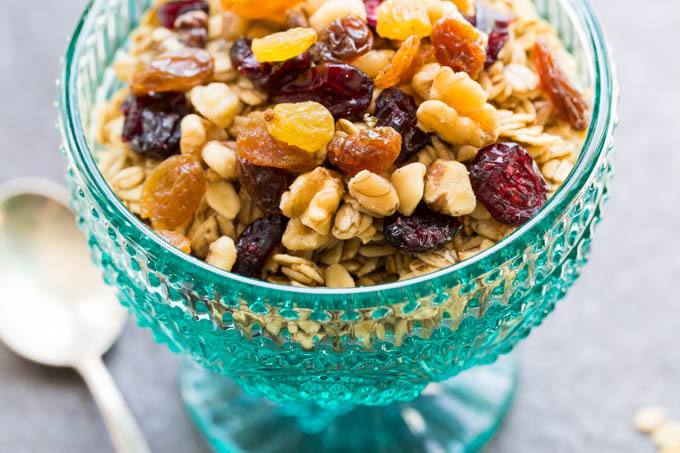 Once you master this basic granola recipe, you can make hundreds of variations. All you need to do is follow a few guidelines for when to add various types of mix-ins. To add a flavoring extract, such as vanilla, whisk it into the oil and maple syrup mixture. Try a few drops of vanilla, almond, or coconut extract. This rule also applies to adding a pinch of salt (salt is completely optional in the recipe). To add nuts, you mix them in with the oats before you bake them. This allows the nuts to be coated in the oil and maple syrup mixture (along with any flavorings) before baking. Baking will give the nuts a toasty flavor. Try pecans, walnuts, almonds, macadamia nuts, or peanuts. To add spices, you mix them in with the granola right after it has finished baking. 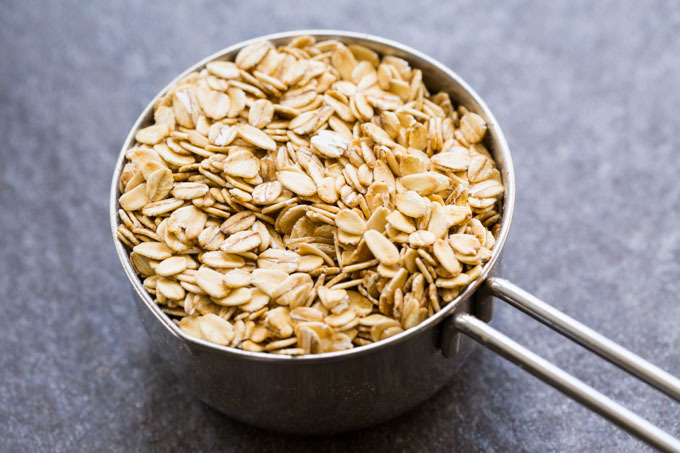 This prevents the spices from losing their delicate flavors in the heat of the oven, but still allows them to stick to the tiny amount of moisture remaining on the granola as it begins to cool. Try cinnamon, nutmeg, or pumpkin pie spice. 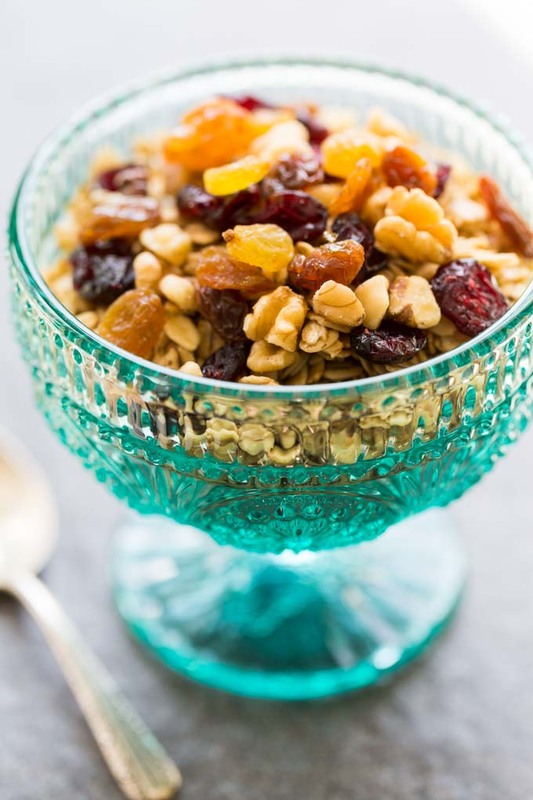 To add dried fruit, you mix it in after the granola has cooled. This prevents the fruit from drying out in the oven. Try raisins, cranberries, blueberries, or sweet cherries. Sprinkled on a smoothie bowl. Any of these options makes a lovely breakfast in bed for you or your special someone. You can even package the granola as a gift to give away. For a quick and thoughtful homemade present, simply fill a Mason jar with granola, close the lid, and decorate the jar with a pretty ribbon. If you enjoyed this easy granola recipe, be sure to check out my new cookbook, Fixin’ to Eat: Southern Cooking for the Southern at Heart. Preheat the oven to 275 F and line two baking sheets with parchment paper. 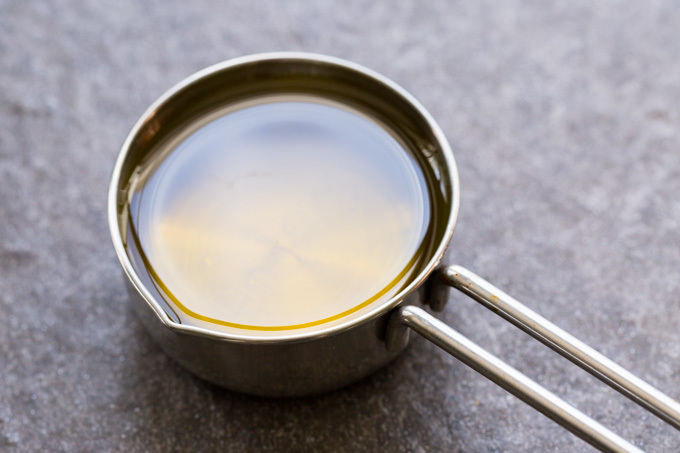 Whisk the oil and maple syrup together in a large mixing bowl. If adding salt, add a pinch to the liquid and whisk it in. Add the oats and mix vigorously with a spatula or large spoon until all the oats are evenly coated. Pour half of the oats on one parchment-lined baking sheet, and the other half of the oats on the other parchment-lined baking sheet. Spread out the oats evenly across each sheet. Bake 45 minutes. The granola will smell toasted and look slightly darker than it was when it was unbaked. Remove the sheets from the oven, and allow the granola to cool completely on the baking sheets. Store airtight when completely cool. To make gluten free, be sure to use gluten free old fashioned oats.